Scion Repair in Orlando | C & G Auto Center Inc. 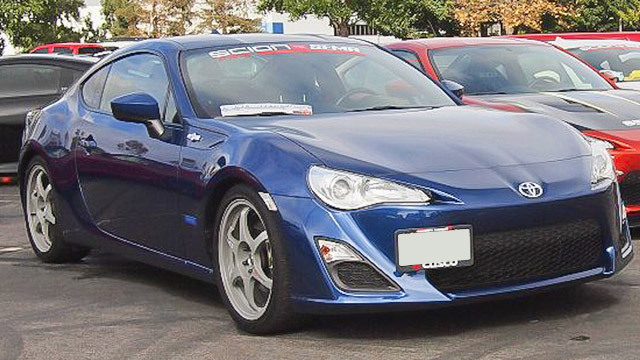 The auto mechanics at C & G Auto Center not only know that Scions are fun vehicles, they are also highly trained with the skills, knowledge, and proper tools and equipment to provide you and your Scion with the best possible care and service. If you own a Scion and live in the Orlando or Davenport communities, you won’t be able to find a better auto repair shop than C & G Auto Center. Not only do we care have what it takes to successfully service and repair your Scion, but we also place high value on long-term relationships with our customers and provide nothing short of the highest level of integrity. When you walk into our waiting area, you will be warmly greeted and are welcome to hang out in the family-friendly space or take advantage of our shuttle service. We can also help out with getting you Ubered home or to work and, if necessary, get you connected to Enterprise to set up a car rental for those longer jobs. You can trust the auto mechanics at C & G Auto Center to take good care of the Scions in Orlando, Davenport, and beyond. You can also trust us to care for each individual customer, always putting your safety first. Integrity matters and so do you. We look forward to seeing you and your Scion soon! Schedule an appointment today, or stop by. C & G Auto Center is located at 4155 W. Oak Ridge Rd., Orlando FL.